What Gobles Gobble: It's not you... It's me! 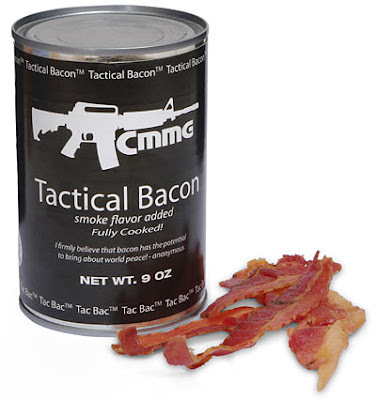 Ok, that’s a little extreme, but let’s face it.. Bacon is awesome! I, like many of you have a bacon problem. I.E. I want to eat it all the time with or on everything! Yesterday on our way to Wal-Mart we stopped at Wendy’s for lunch and like a moth to a flame I ordered a sandwich with bacon. As I sat there enjoying this above par fast food marvel I realized that this was no less than the 3rd day in a row I had eaten bacon. Rewind to Sunday and I had A bacon double cheese burger at DQ and Bacon and eggs for breakfast alone. So what’s the big deal you might ask? The big deal is I’m afraid I might actually be eating too much bacon! Let’s face it 1. I don’t need all that salt and fat and 2. I tend to get tired of things if I eat them too much. I get burned out on things easily. This was a frightening revelation for me! At work I’m the “bacon guy” people send me bacon recipes’ and one guy even bought me a jar of Baconaise. I’m even teaching Jeriah that piggy’s go “sizzle sizzle”. I have decided with much heart wrenching internal struggle to make a conscious attempt at not eating so much bacon. For my health and for the shear fact that if one day someone hands me a plate of bacon wrapped scallops or a bacon wrapped filet, I don’t want to even have a second thought about whether or not I want it! So here’s to you bacon, I am going to try to not eat you again for awhile. Not because we aren’t friends anymore and certainly not because you aren’t delicious, simply because I want our relationship to remain fresh and exciting! I want to always enjoy you with eggs or wrapped lovingly by hand around some asparagus. Be brave for both of us my crispy friend, we will meet again.